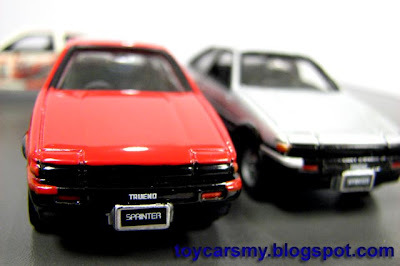 These are my Tomica Trueno AE86 collection, my Choro-Q version is not here in the pictures. 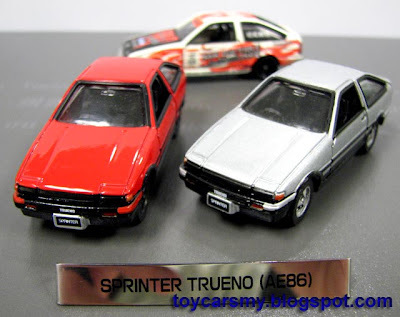 These Trueno are from same casting, scaled at 1/61. 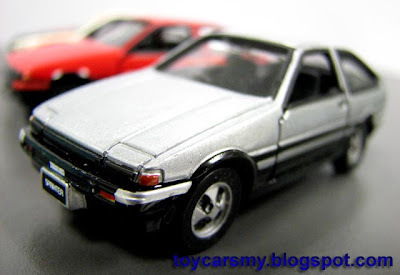 Not like the usual Tomica regular cars, the base is nicely with painted in metallic brown colour, and the casting year is not displayed at the bottom. 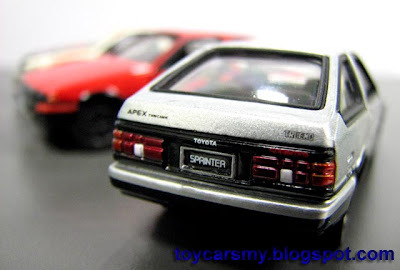 Despite it is at 1/61 scale, when you place it with the other Tomica car on the same scale, it is noticable smaller in size. 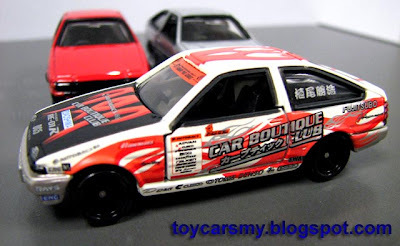 The models got it from multiple sources, the both Limited from Ebay, where the D1 exchange with a Vietnam blogger, Tom.